The ANZAC Edition! Featuring great deals on Australian and New Zealand brews from Archipelago, Stockade Brew Co, Tuatara, 8Wired, The Yeastie Boys and Little Creatures. Live music and DJs, carpark cricket, garden games and more to keep you entertained all day. Sizzling Sidecar Sausages and great vegetarian food by Banyan Tamarind Foods, kult kafé will be serving up the usual selection of wines, spirits, cocktails and mocktails for the non-beer drinkers. 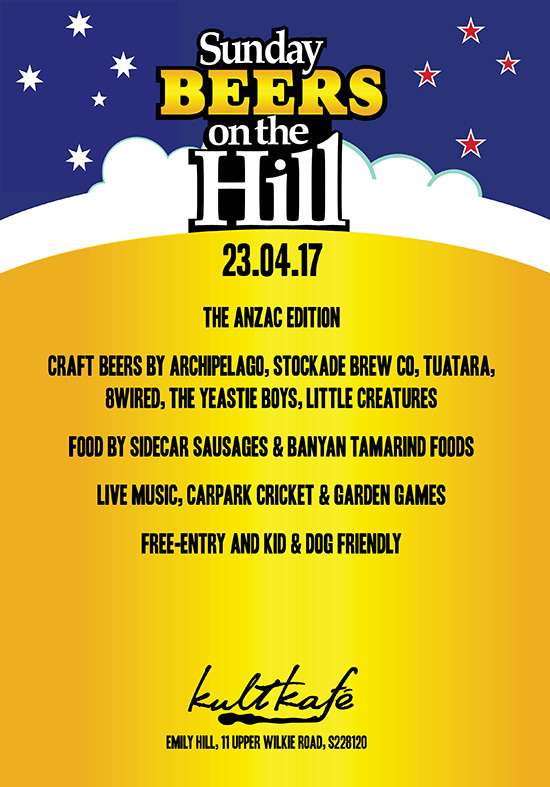 Bring the kids, bring the dogs – and we’ll see you on the hill for a beer or two!